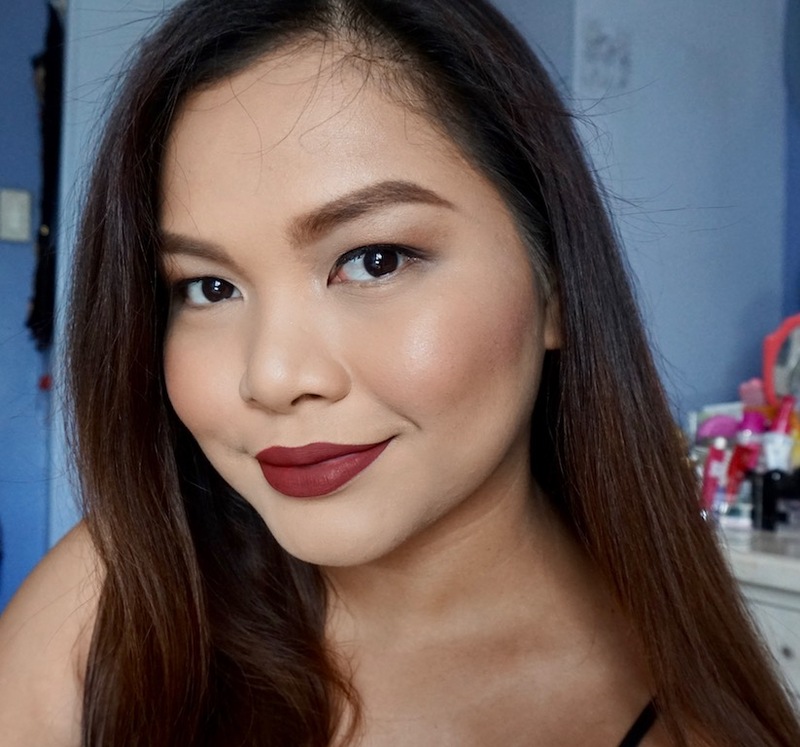 Here's a review on Colourpop Ultra Matte Lip in Love Bug and Limbo. So finally, I got my hands on the famed Colourpop liquid lippies. 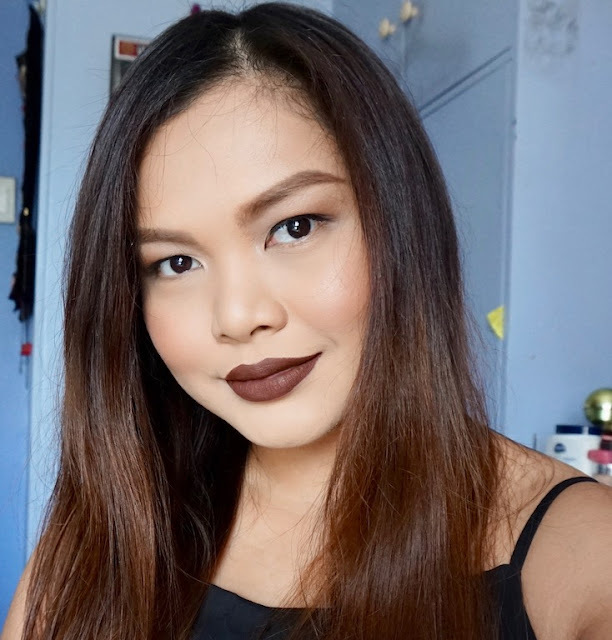 There are a couple of finishes, but I chose Ultra Matte Lip just because I'm a matte lip girl. For the shades, I chose Love Bug and Limbo, two of their most popular. Honest thoughts below! Intense, pigmented matte lipsticks. Comes in 30+ shades. Product comes with a medium- sized doe foot applicator. 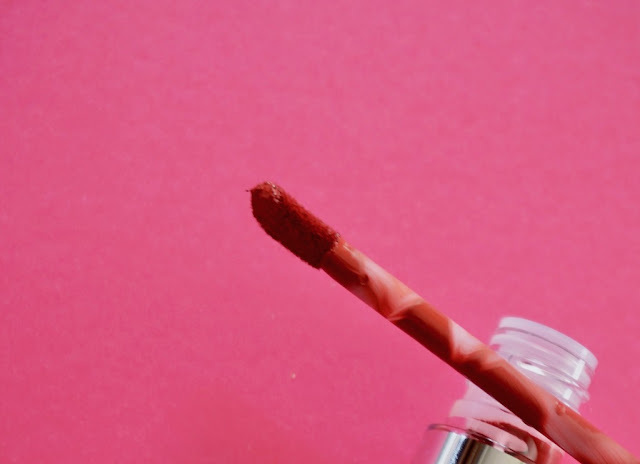 Comparing it with Kylie's Lip Kits (I'm sure you've all heard about the news that Colourpop is the maker of Kylie's lip kits), Colourpop's applicator is much bigger, but the shape and look is pretty much the same as Kylie's. Whoa! Love Bug is such a pretty shade! 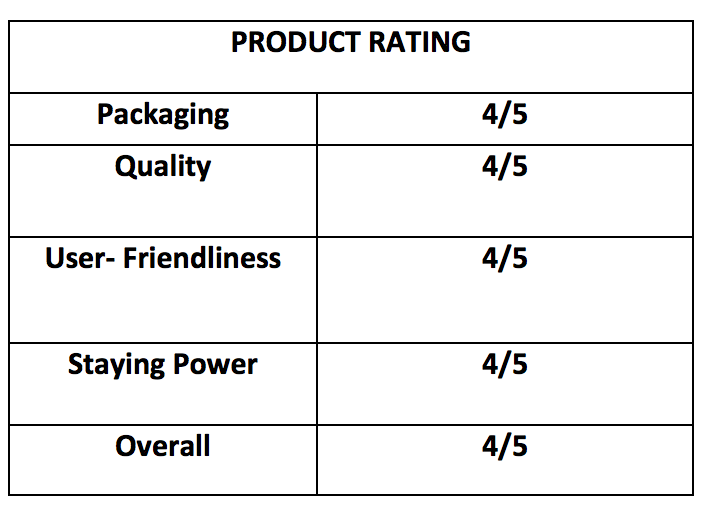 No wonder it's one of the best- sellers! I love the sophisticated Berry look; the Rose undertone gave it a pretty twist! 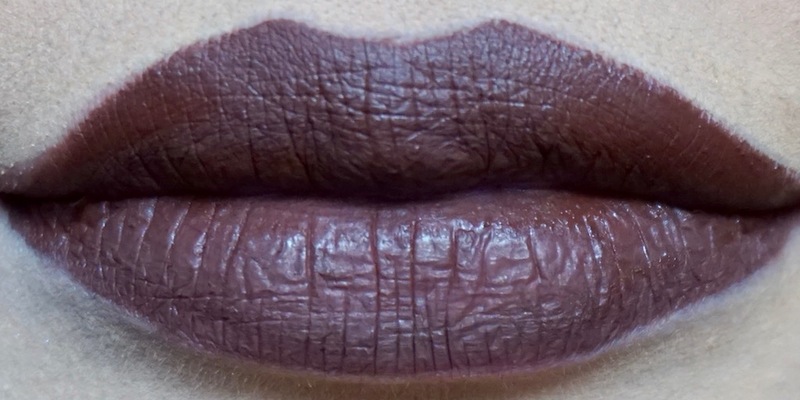 Ladies, here's your dupe for Kylie Lip Kit in True Brown K. Limbo is a true dark brown too! Pigmentation is amazing and I love the rich texture of the product; it's so easy to apply and even out. However, it's pretty drying to the lips that's why I make sure to moisturize properly before usage; it also helps if you don't pile on the product to prevent flaking. Staying power is very good; it stays put for hours and fades gradually meal after meal. 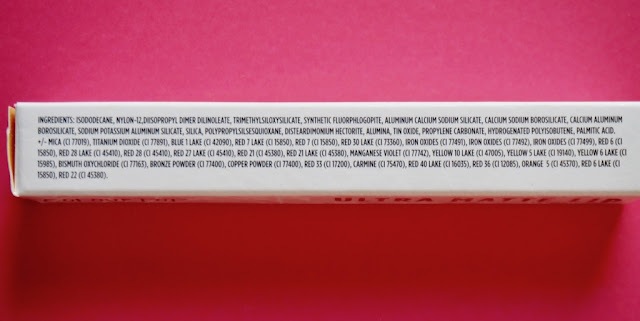 Colourpop's Ultra Matte Lipstick is a pretty good liquid lipstick in terms of pigmentation and color quality; just wish that it wasn't that drying! Whoa! Indeed, love bug is such a gorgeous shade! I might buy this one also, super ganda and nagcocompliment sa skintone mo Ms. M! :) On the other hand, limbo is more on the fiercer shade, I remember Kylie on your makeup here. Hehe. BTW, do they have any distinct smell? :) What do you like more? 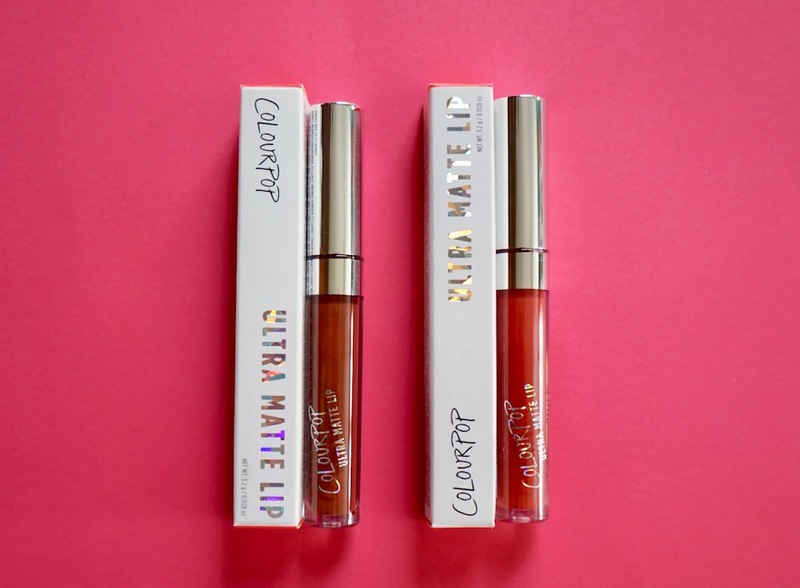 The ultra matte or the ultra satin one? I love colourpop!!! So far I've tried beeper, tulle and clueless from their foxy mini set. 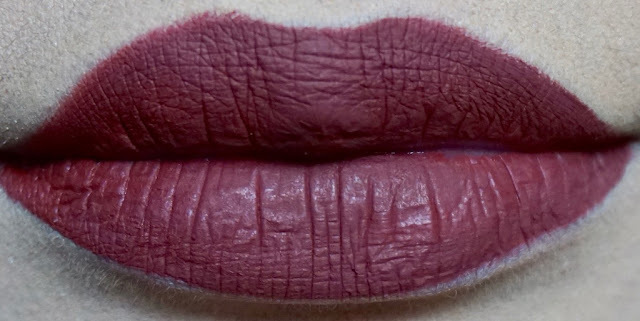 I also wish that it is not super drying to the lips. I have to lip mask every night after wearing colourpop's ultramatte lippies. 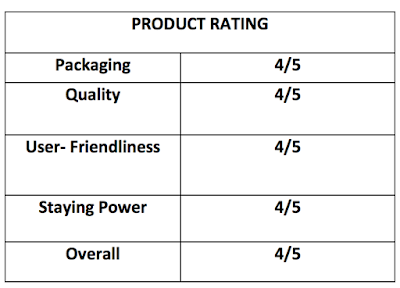 Thanks sa review Ms M, kaso hindi ko type yung sobrang dark ng color. Pero sayo bagay pa din ang shades. I would like to try the love bug. Ganda ng dating sa lips pwede xa ipair kahit anong occasion. Whoa! Indeed, love bug is such a gorgeous shade! I might buy this one also, .. .